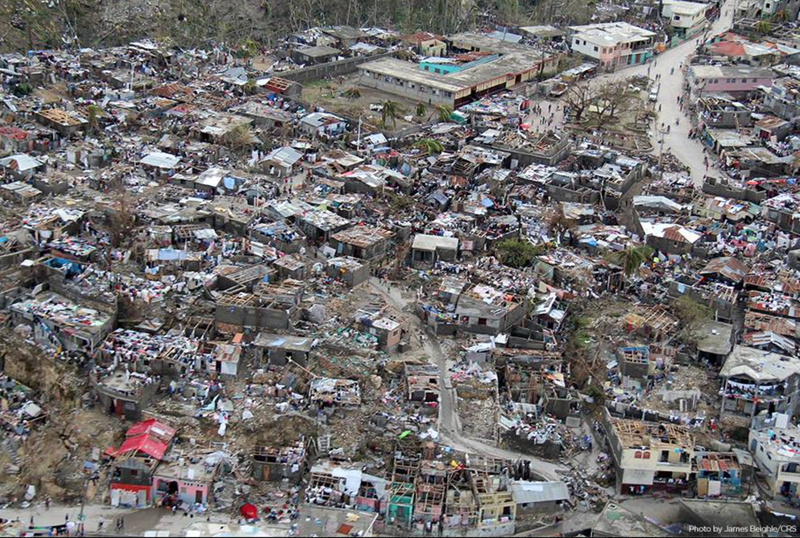 This photo from Catholic Relief Services in Haiti. 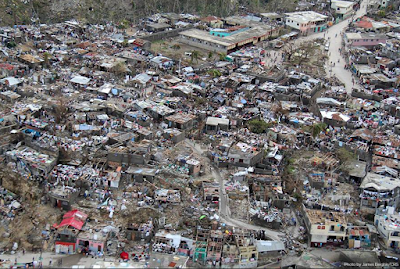 When Matthew went across Haiti, it was a Cat 4 storm. Wind force is a squared function, not linear. Let me explain. 75 mph squared = 5625 units of wind energy. This was the wind speed along parts of the Florida coast. 145 mph (the wind speed over Haiti) squared = 21025 units of wind energy! When you add in the less capability level of building construction in Haiti, Matthew was yet another catastrophe for the beleaguered island.